EXPERIENCE THE EPIC MASTERPIECE “LONE WOLF AND CUB” LIKE NEVER BEFORE! MILWAUKIE, Ore., (December 15, 2017)— Kazuo Koike’s samurai epic Lone Wolf and Cub has long been considered a masterpiece of graphic fiction. And Dark Horse is thrilled to announce the release of the oversized gallery edition coming in 2018! Lone Wolf and Cub is a staggering, sprawling epic, and a tour de force of storytelling, both in the complex, emotional narrative of writer/creator Kazuo Koike and the explosive kineticism and subtle expressiveness of artist Goseki Kojima. Featuring Kojima’s spectacular illustrations at original size on heavy-stock art paper, the Lone Wolf and Cub Gallery Edition is a must-have for collectors and enthusiasts of the finest comic art ever created. Reproduced from high-resolution full-size scans of the original art created over forty years ago, fans will have the opportunity to experience this spectacular body of work in as close to its original format as has ever been possible. 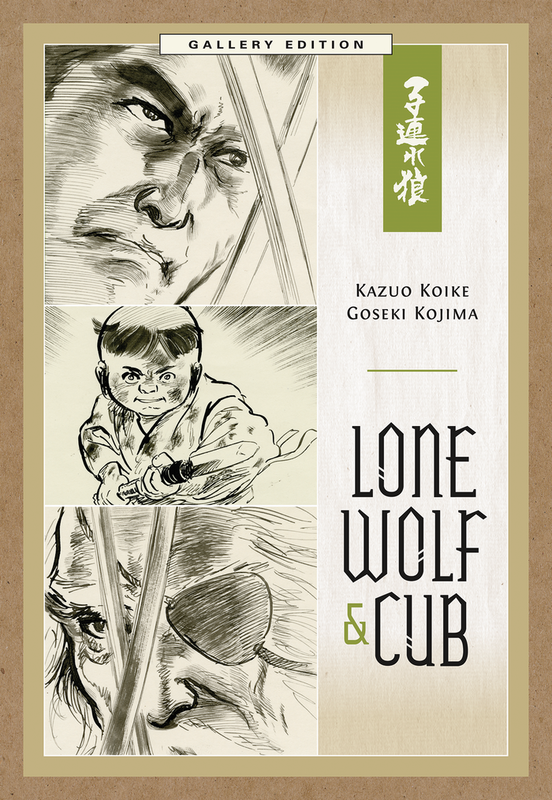 Lone Wolf and Cub Gallery Edition HC goes on sale May 23, 2018, and is available for preorder at Amazon, Barnes & Noble, and your local comic shop.